Get Ready Azua! Here come the Walkers! Due to Ministry Opportunities with YWAM Azua, we are moving! 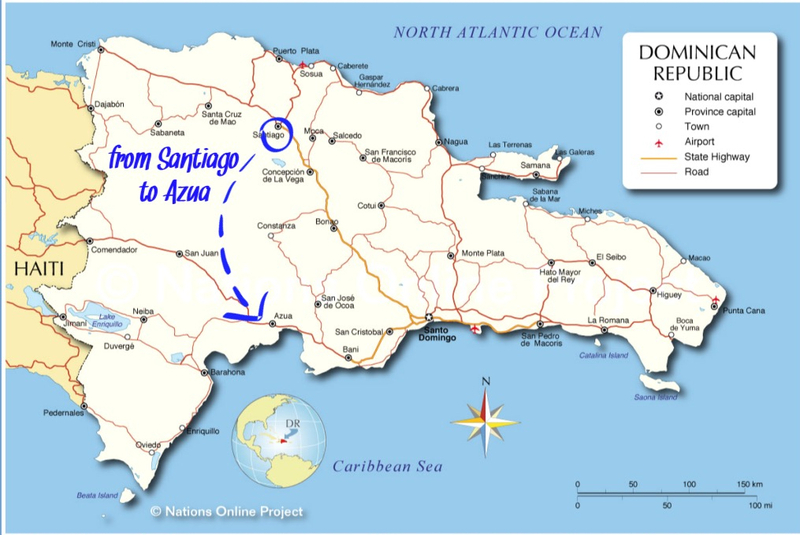 I am surrounded by boxes and "mess" as I type this up this morning :) In 4 days, we will move to the small town of Azua on the south coast of the island. We are excited to move and work with YWAM Azua. Check them out here.... http://www.ywamazua.com . There is a large Haitian population in this area along with a lot of rural Dominican farmers. It is very much where the desert part of the island meets the beach. It is a beautiful area of the island but not nearly as "green" and fertile as we have been used to. We are also sad to be leaving the city of Santiago that we have grown to love. We will also miss our friends here and knowing how to get to the stores, the doctors, the dentist, etc... But we also know that God will provide what we need in Azua. We ask for your prayers as we transition to this new area. We are in a way "starting over" with finding out where we can get our necessities. We are also very much in need of some extra finances. Moving is expensive here! Houses here come with nothing provided and though we have our furniture and appliances, getting water and electricity transferred and running can get very frustrating and expensive. Our expenses will go up some also so please consider donating or supporting us monthly. Yes, this is a short update and will get another update up as soon as possible. We finished up a Chapel Project build on April 25th and it was another very productive week with lots of salvations and rededications. We have not been allowed to visit Little John as he is in the "protective care" of the government. We still pray for him daily and check to see how he is doing. We were in the cafeteria of the grocery last Sunday and one of the workers was able to give us an update that he is doing well. We are still trusting God that He will do what is best for this little guy. Debbie has been able to share or preach in quite a few of the churches here where we have become friends with the Pastors. Please pray as she preaches to a very large congregation in Cien Fuegos on Sunday! Thank you all for your prayers and support! Many blessings from our family to yours. Please send us any prayer requests so we can pray for you during our family prayer times! We appreciate you partnering with us!